It’s that time of year again. People are reflecting back on the 2012 movie year and throwing lists together. The Golden Globes are done and the Academy Award nominees are announced. Last week I looked at the movies and listed my Top 10 Films of 2012. This week I’m looking at the performances. 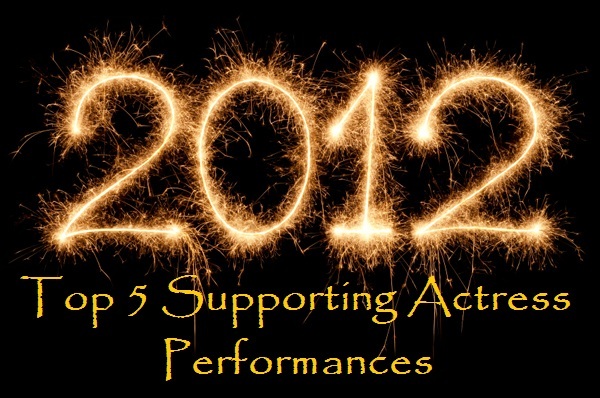 As I did last year, I’m going to break down the four major acting categories and list my personal Top 5 performances of 2012 from each. I’m a firm believer in ladies first so today we start with the Top Supporting Actress Performances of 2012 (according to me). I’m a big fan of Amy Adams and throughout her career she has shown a great range. In Paul Thomas Anderson’s “The Master” she plays Peggy Dodd, the wife a philosophical sect leader. While her husband seems to be in control and it’s his flash and pizzazz that gets all of the attention, there are several scenes where Peggy looks to be pulling the strings. Adams embodies this mysterious and sometimes calculating character and she has no problem holding her own with the other heavyweight performances. We all know Judi Dench is a great actress. She is one of those performers who you know is going to deliver regardless of what she’s in. One of her most recognized roles is “M” from the James Bond films. In “Skyfall” she reprised that role but, unlike the previous Bond appearences, here she is given a lot more to do. Dench gets to flex her acting muscles as her “M” character is fleshed out a bit more. We also get to experience a better look at her relationship with Bond. Dench is fantastic and she doesn’t miss a beat. 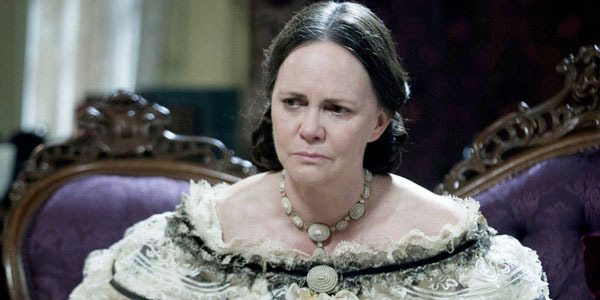 I remember when I heard Sally Field was going to play Mary Todd Lincoln a smile spread across my face. And as expected she doesn’t diappoint. This was a tough role, not just because she was playing the wife of Abraham Lincoln, but because she was sharing scenes with the great Daniel Day-Lewis. But Field is spectacular in “Lincoln” and the on screen chemistry between her and Day-Lewis is undeniable. Field uncovers the uniquenesses and complexities of her character with great craft. This was a spot-on performance and certainly worthy of praise. I don’t know how many people have seen the touching French and Belgian film “The Kid with a Bike” but more people should. It’s a beautifully crafted and deeply moving film from the Dardenne brothers about a young boy unable to accept that his father has left him. The performance from de France is an absolute joy to watch and you never doubt her character’s sincerity or tenderness. It’s unfortunate that her great work has flew under the radar but I can promise that if you watch this film you’ll be blown away. 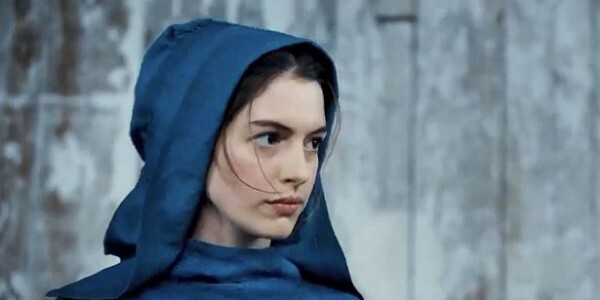 I’ve been a luke warm Anne Hathaway fan for a while now. But I’m slowly growing more and more impressed with her work. My excitement reached it’s pinnacle after seeing her in “Les Miserables“. Talk about a heartfelt and devestating performance. From her physical acting to her beautiful voice, Hathaway stole the show and had me wishing her part was bigger. For me, this performance was the whole package – the voice, the expressions, the emotions. It all flows naturally out of Hathaway. I felt for her and I cried with her. This was the best supporting performance by an actress from 2012. Day 1 is done and my favorite supporting ladies have been given their due. So which performances did I miss? What was your favorite? The guys are next. Tomorrow I’ll throw out the Top 5 Supporting Actor Performances of 2012. This entry was posted in The Phenomenal 5 and tagged amy adams, anne hathaway, cecile de france, judi dench, les miserables, lincoln, paul thomas anderson, sally field, skyfall, the kid with a bike, the master. Bookmark the permalink. Nice picks. We wound up quite similar… I havent seen “The Kid with the Bike” though, that’s the difference maker. LOL. I take it it’s good? Especially Cecile de France? It’s fantastic!!! She could probably be considered the lead actress but I think she works on this list. It’s a wonderful performance! Good picks. I think my favorite would be Amy Adams or Sally Field. No gripes from me. Fields and Adams were both really, really good! I think you’re right. Bond movies are just too fan- friendly. I don’t know, I think Dench was fantastic. No way I could leave her off this list! I’m glad to see Dench on your list. She was my pick when I did my Golden Katz awards for “Best Supporting Actor/Actress Who Will Get No Love Come Award Season. She embodies M in every sense of the word (the letter?) and I’m glad to see she’s had a great year with Best Exotic as well. In with you 110%! She’s wonderful and it was a real treat getting to see her get more screen time. Nice list. I hate the fact that I haven’t seen most of these films, but I think I’ll enjoy them when I do. 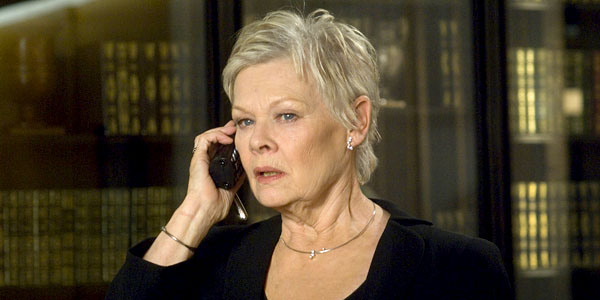 Loved Judi in Skyfall. didn’t see Kid with a Bike. I may just have to now. nice picks here. Amy Adams was something else in The Master wasn’t she? You must see The Kid with the Bike. It’s a film that not enough people have seen. It’s really a powerful picture. I’d love to hear your thoughts on it. Anne Hathaway was the highlight moment of the year for all the film’s I saw. Her rendition of I Dreamed a Dream was the standout moment that will always stay in my mind. Wasn’t it fantastic? I also love that moment and she just stole the show.